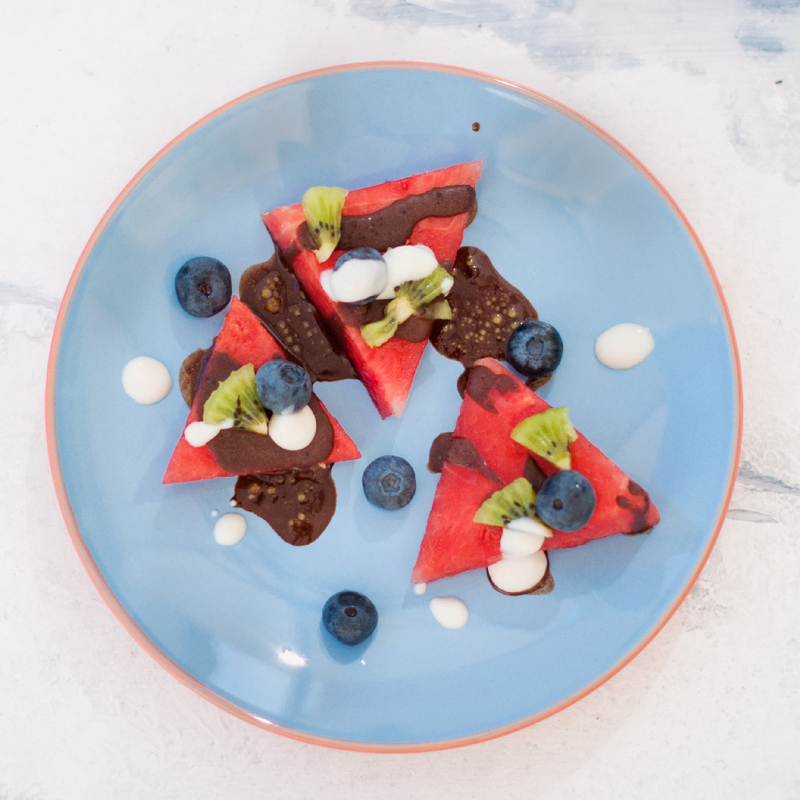 All you have to do is, slice up some watermelon, and place it in the freezer for 15minutes. 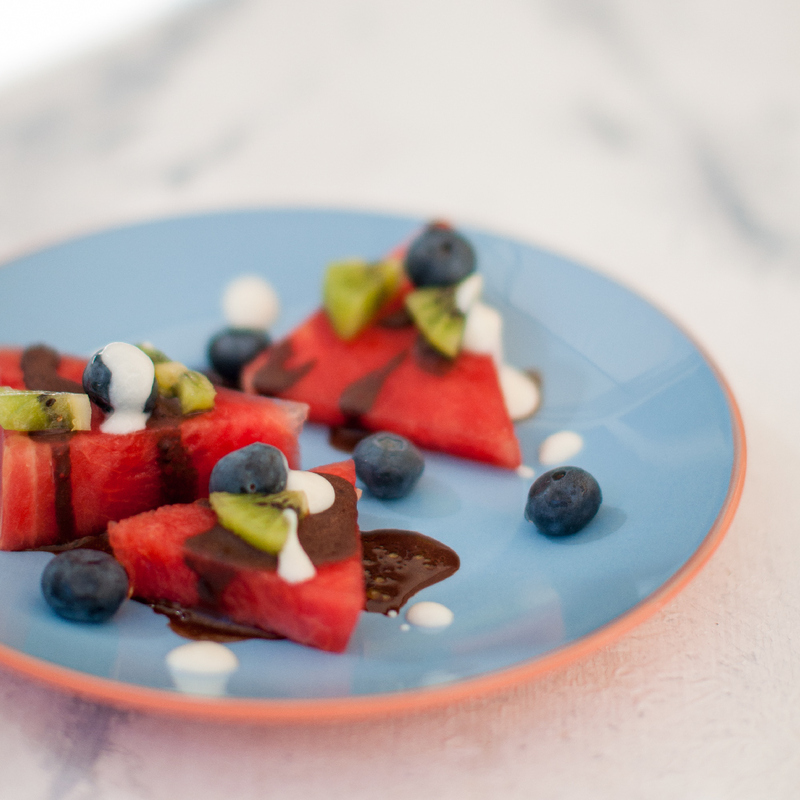 Whilst the watermelon is cooling, make the raw cacao syrup. Mix ingredients all together, the more coconut oil you add, the thicker the syrup. 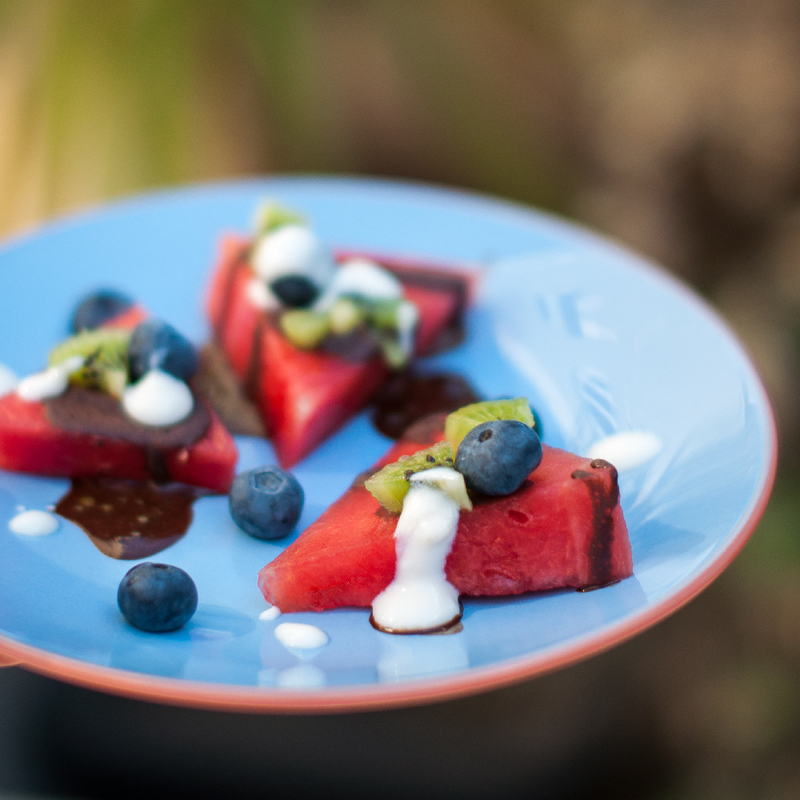 Bring out the watermelon slices, and drizzle the raw cacao syrup over them, the syrup should freeze up, I topped them with kiwi, blueberries and coconut yoghurt.